Is your innovation process on an island? 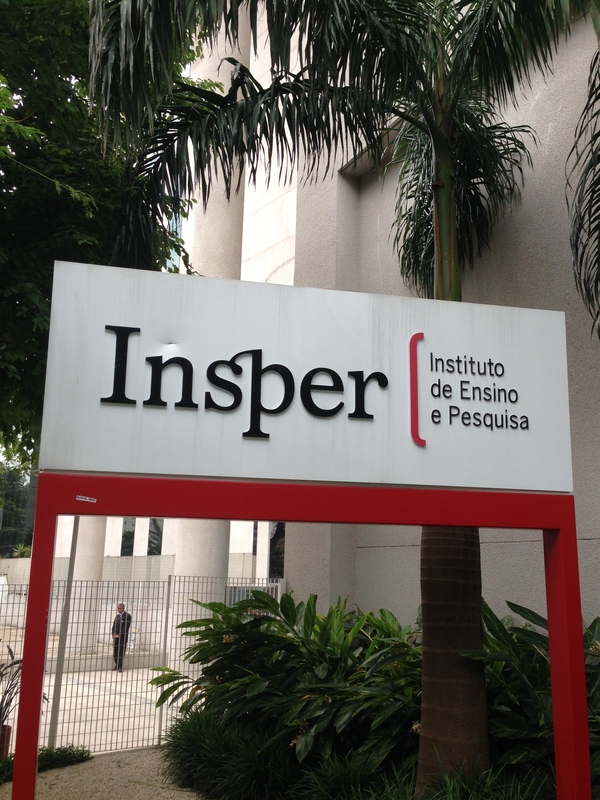 I recently ran my Innovation and Strategy workshop for executives at the Insper Institute in Sao Paulo, Brazil. As I always to, I asked participants to describe or diagram their current innovation process. It’s a great starting point for any discussion on innovation. And the responses usually range from enlightening to entertaining. One executive from an oil company told the group that his company’s R&D team was located on an island – literally. What a great metaphor! It triggered a broader discussion about the limitations of the traditional R&D organization. Too many are on an island – figuratively. Innovation starts with an understanding the customer –what they deal with every day, what problems they need to solve and what could make their experience dramatically better. To understand any of this, product teams need to spend time out of the office observing and listening to customers. They need to develop empathy for the customer by standing in their shoes. Only then can they begin the process of designing solutions that deliver a differentiated customer experience. Customer experience is the new IP (intellectual property). It’s a proven way to create a sustainable competitive advantage. Just ask Zappos or Virgin Airlines. I would rather deliver a distinctive customer experience than own a patent or a trade secret. Unless your customers are shipwrecked, you’ll never design a better customer experience if your innovation team is on an island – literally or figuratively. 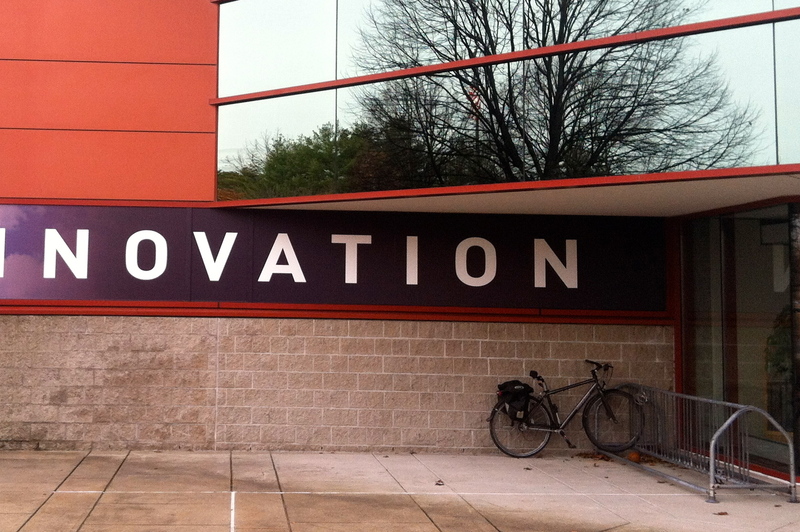 Innovation is the job of everyone responsible for company growth—not just the R&D department. And the way to contribute is to get out of the office to understand what it’s like to be a customer—and to ask how you can solve the problems they have today, and how you can help them realize their goals in ways they never imagined. Get your innovation process off the island and back on the mainland. Positioning is arguably the most critical element of company strategy. Before you can win business with customers they need to know what problem you can help them solve. Your can either explain this to them directly, or rely on them to figure it out on their own. Hortonworks develops, distributes and supports enterprise Apache Hadoop. BlueKai Data Activation System (DAS) is an enterprise-level, cloud-based platform that manages your data assets and provides a common data management system for all your marketing and customer interaction programs. The problem with this approach is that it makes customers work too hard to find a connection between the product or service and a critical problem the customer needs to solve. If you know you need Apache Hadoop, you might want to talk to Hortonworks; otherwise, why would you ever contact this company? BlueKai tells you what their product does, but isn’t explicit about how this product can help you solve your company’s problems. ZestFinance helps lenders in all credit segments better assess the credit risk of potential borrowers. Quid software makes sense of the world’s public data to help your company answer billion-dollar questions. At Gazelle, we pay you for the cell phones, iPads, Macs and other Apple devices you no longer need – helping you upgrade faster or just putting a little extra cash in your pocket. I don’t know how Gazelle delivers this service– I just know that I need it. The most effective way to position a company is to lead with the problem, not the product. Of course, if you’re not sure what problem you solve for your customers, you may need to get outside the building and ask them directly. In 1974, British industrial designer James Dyson was using his Hoover Junior vacuum cleaner and became incredibly frustrated by how weak the suction was, and how quickly it clogged up. From that moment on, he became convinced he could build a more efficient vacuum cleaner. It took many years and over 5,000 prototypes, but in 1993 he created the Dyson DC01. Within 18 months it became the biggest selling vacuum cleaner in the U.K. While vacuum cleaners might not be the flashiest of products, they don’t need to be. Dyson and Honda succeeded because clearly they solved problems for their customers. A flashier example may be Amazon Web Services. If you want to design a great product, find a good customer problem to solve. Electric carmaker Tesla Motors has tripled its valuation to $10B over the last two months. What do investors see in the company’s growth strategy? Both Motor Trend and Automobile magazines recently named Tesla’s high end Model S car, with a base price $69,900, Car of the Year. And Consumer Reports said it was “the best car they’d ever tested”; high praise from the most influential publication for car buyers. But Tesla has more than a great car going for it. To the ire of the auto industry, Tesla CEO Elon Musk is also disrupting the traditional car sales model. Instead of using dealers, Tesla has set up its own showrooms in shopping malls and other high traffic areas. And it’s selling its cars at full sticker price – no negotiations or haggling allowed. The formula is working. Tesla posted its first profit several weeks ago. The question is, what is Tesla doing right that other electric-car makers, like the nearly bankrupt Fisker Automotive, did wrong? It’s interesting to see the analogy to Apple’s product strategy: start with high end products, then reach a broader market with lower cost products. A fan of Steve Jobs, Musk also chose to control the customer experience with his own retail stores. Tesla Motors is an innovation role model for growth companies. Interestingly, at the turn of the century another CEO ran an automotive company that started producing high-end roadsters, and then transitioned to producing a low cost vehicle that became the most popular car in the United States. 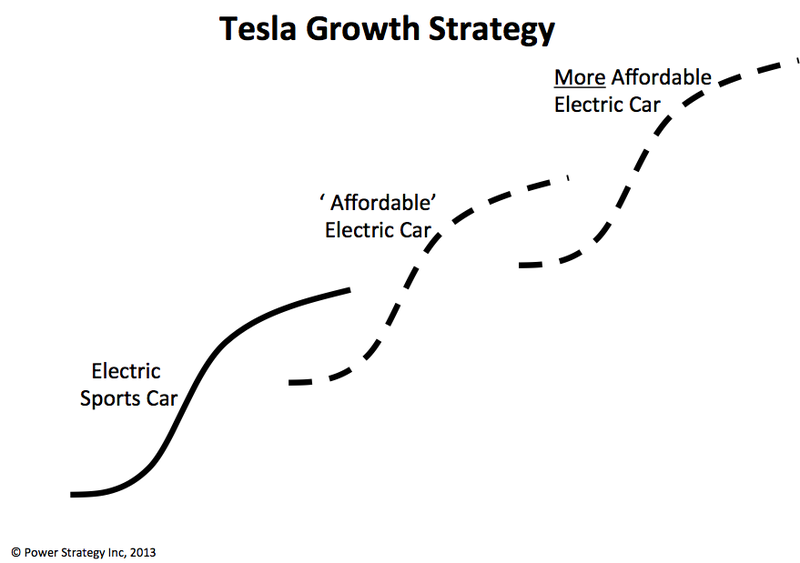 The CEO of that success story was Henry Ford and the low cost car was the Model T. If they keep on their current trajectory, Elon Musk and Telsa Motors may prove to be just as iconic to the electric-car age as Henry Ford and the Model T were in their time. When we emerge from the Great Recession, growth companies will have led the way. Growth companies are the engines of economic growth and wealth creation. No longer startups, growth companies are private companies, typically with revenues of $5 million to $100 million. They create most of the new jobs in our economy, and that is why investors, job seekers and policy-makers have an enormous stake in the success of our growth companies. So what is the profile of these companies? According to the Kauffman Foundation, 5 percent of US companies, or about 273,000 firms, create two-thirds of new jobs in any given year. The top 1 percent, or about 55,000 companies with fewer than 250 employees, generate 40 percent of new jobs in any given year. According to Middle Market Foundation (Ohio State Fisher College and GE Capital) the Middle Market is the largest source of sustainable economic growth and job creation today. It’s important to note that 95% of these companies have revenues below $50 million. The fastest growing companies are often called gazelles – a term created by David Birch and promoted by Verne Harnish. 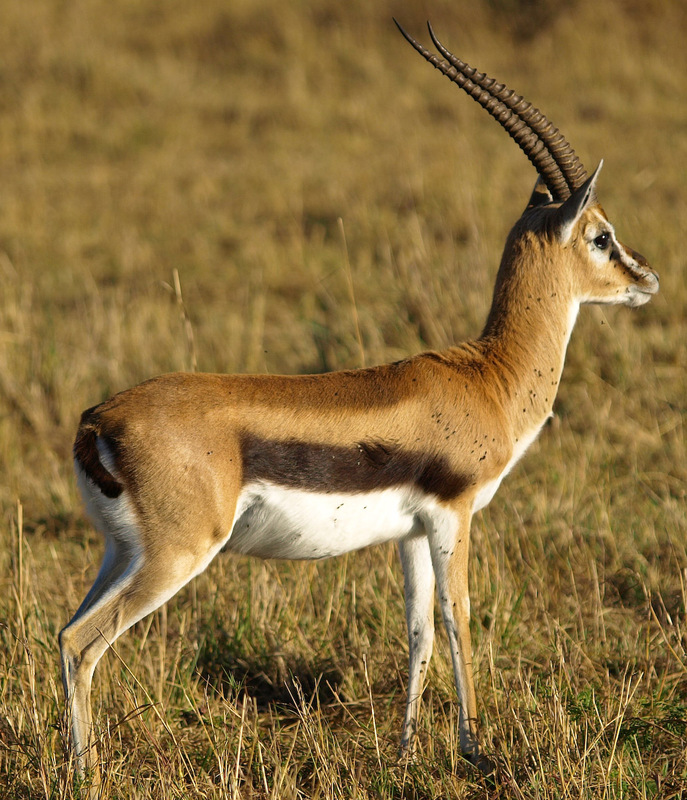 According to Birch, a gazelle is a company whose revenues have increased 20% or more per year for four consecutive years from a base of at least $1 million. His research indicates that gazelles represent about 4% of US business but create 70% of new jobs. When you think about growth companies you might think of young technology companies. However, David Birch’s research indicates that many of the 350,000 gazelles, have been in business more than 25 years. And this Inc 5000 infographic shows that our fast-growing companies span all industries and geographies. Growth Company Success = Sustainable Economic Success for the U.S.
Clearly we all have a big stake in the success of growth companies. However their success is not guaranteed; sustaining high growth rates is a challenge for any company. Tragically, most private companies fall off the curve before they reach their potential. (See Why Growth Companies Stop Growing). Fortunately, they can learn a great deal from the best practices of the most successful growth companies (See Four Keys to Innovation and Growth). As an advisor to mid-size companies, I continue to be struck by how few leaders make it a strategic priority to talk with their customers. If you’re searching for the next big thing for your business, be it an improved product or a brand new one, chances are your customers have most of the answers. Too many companies suffer from ‘customer amnesia’ – as though they’ve forgotten how to have routine conversations with their customers (I’m not including selling situations). When it comes to new product development, these companies jump right to product design, assuming they know what customers need, and then ship the finished product as soon as possible. They skip two critical steps that can insulate them from new product failures. The first is to find out what problems you can solve for the customer before designing the product. The second is to get early feedback on new product concepts from customers by showing them initial prototypes. I recently read on Mashable about an interesting start-up called Charlie. Charlie is a web application that helps you prepare for meetings by doing research on the people and companies you will be meeting with. It will even tell you if you have anything in common with your meeting attendees, such as an alma mater or a love of the Red Sox. Charlie was a finalist in the Accelerator Competition at this year’s SXSW conference. How did they achieve this early success? Charlie’s founders tested the product concept early and often with business professionals – their target audience – to get initial feedback. It was only after they discovered that their product filled a need that hadn’t been met by anything else in the market that they started building the first complete version of the product. Dropbox took a similar approach en route to growing a multi-billion dollar business. The first ‘version’ of Dropbox was simply a landing page that described the product concept and asked for the email addresses of those who wanted to be beta users. Everything they built was something customers were asking for. Think of the capital efficiency! The founders of Charlie and Dropbox know what many, much larger companies have yet to learn– that listening to customer prospects before designing products, and getting feedback on early product concepts can save time and money in the innovation process. If your company can overcome customer amnesia by setting up informal meetings on a regular basis, you’ll find the rewards can be invaluable. Think of it as sifting through sand for gold. You might schedule ten customer conversations and even if the first nine don’t reveal new opportunities, you’ve still built a stronger relationship with your customers just by being there. But it’s that tenth meeting, the one that reveals a customer problem that no one has solved, that can point to product and service innovations and new sources of revenue. You won’t get that kind of insight on a white board in your office or in a conference room with your co-workers. If routine conversation with your customers is not in your company’s comfort zone, it’s time to step outside of it. Making time for these conversations might take your business in directions you have yet to imagine. This blog first appeared on Harvard Extension’s The Language of Business. There’s a new shortcut for finding your best market segments – it’s social media. Your ‘ideal customer profile’ can reveal itself to you … if you hang out in the right circles and pay attention to what’s going on in the social media sphere. Two online boutiques, ModCloth and Nasty Girl, provide excellent case studies on how to do this successfully. ModCloth created a program called Be The Buyer to coax its market into revealing itself. Through this program, prospective customers view clothing samples from trade shows online and vote on which ones the company should sell. According to founder Susan Gregg, 17 million people have chimed in since the program started. 17 million people, and each one providing a profile. Just a few years ago, a company like ModCloth would rely on a combination of market research and guesswork to select their target markets. In the era of social media, your customers can do this work for you. Using Be The Buyer, ModCloth learns who their customers are and what products they want to buy. The success of this program has allowed the company to raise $25 million to expand their business. If you want to listen to your customers, go where they hang out online. If you’re selling camera lenses, find the Google+ groups and Twitter hashtags that camera buffs use. Join the Pinterest groups and follow the Facebook and LinkedIn pages of the influencers. Market segments are composed of people with common interests, and people with common interests are already finding each other on social media. Your job is to find them and learn what they want (without being too blatantly commercial about it). This is how Sophia Amorusa built a $100 million online retail business called Nasty Gal. She found ‘friends’ for her MySpace page by reaching out to sites of complementary brands such as Nylon, the music and fashion magazine. She gave prizes to Facebook fans who came up with the best names for her products. When her market segments evolve and fashion tastes change, Amorusa will learn this first hand from the 100,000+ followers that visit her site for at least six minutes every day. Whatever your product is, chances are high that there are bloggers and opinion leaders on social media sites that are influencing what customers think about it. Find these influencers and build relationships with them. One of many places to look is Forbes’ list of the Top 50 Social Media Power Influencers. Reward active participants with giveaways and discounts. For small to mid-size companies, one of the biggest advantages of using social media for market segmentation is the low cost of entry. It costs nothing to open an account on Twitter, Facebook, LinkedIn or Pinterest. Once you get started, with a little time, creativity and planning, you can discover your best market segments before your competitors gets there.